Chiffon Tunic Just $14.99! Down From $43! FREE Shipping! You are here: Home / Great Deals / Chiffon Tunic Just $14.99! Down From $43! FREE Shipping! Until December 1 only! 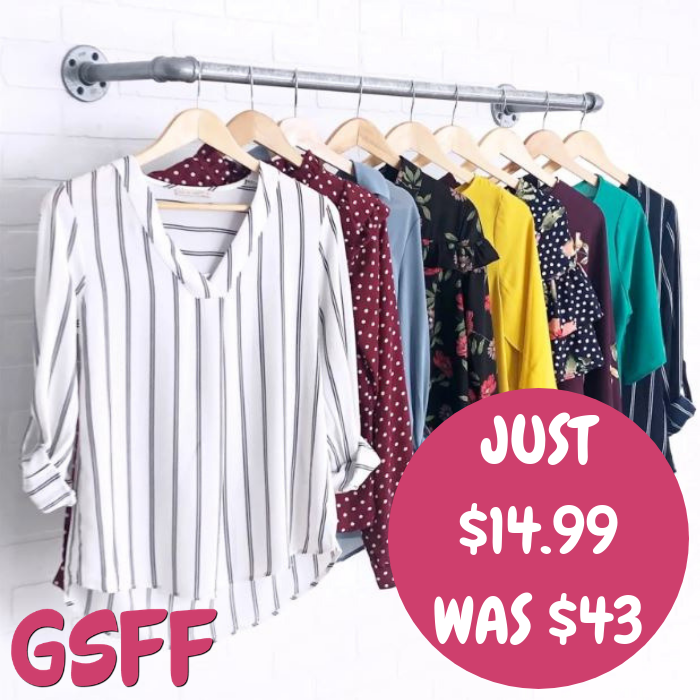 Hurry over to Jane where you can score this Chiffon Tunic for just $14.99 down from 42.99 PLUS FREE shipping! This Chiffon Tunic Collection features a choker neckline and flowy sleeves! From the semi-loose fit, to the 1/2 sleeves, to the tie in the front, what’s not to love? Pair with a pencil skirt of the office or with your favorite leggings and skinnies!